In an attempt to justify the fact that the West Ham top brass decided, with one game left to play, that sacking Avram Grant in the tunnel at the DW Stadium was the classiest course of action to take, vice-chairwoman Karren Brady has spoken out in defense of her reprehensible cohorts – claiming that the board did everything in their power to support Grant this season. 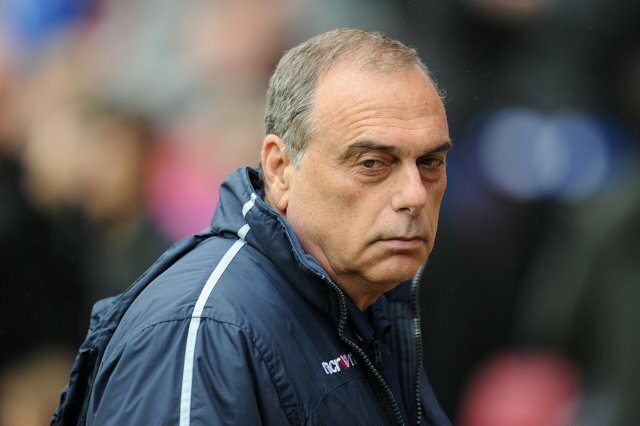 “Avram was given the best possible conditions to do the job. There were no silly targets set, no talk of Europe. We just said: ‘Keep us up’. “He was given extra training-ground staff and his personal needs (ahem) met – including a driver, a new office and an upgraded expensive football analysis system. “Last summer we signed eight players, including a top German international and three of the star young players from the World Cup. “When things got tough, we backed him again. January signings like Wayne Bridge, Robbie Keane and Demba Ba saw us put our money where our mouth is. Again, no big names left the Boleyn. ‘Three young stars of the World Cup’, eh? I can only assume she’s referring to Victor Obinna, Winston Reid and Pablo Barrera there. I’ll let you draw your own conclusions as to their respective ‘star’ power. Now, not that Avram has done himself any particular favours at Upton Park this term – the Hammers have been woeful for the majority – but it seems like Brady forgot to mention the part about treating Grant like crap all season, the yarn about undermining him on a regular basis and the little addendum in which she and her West Ham cronies secretly approached six different candidates to take over from the Israeli over the course of the campaign. Karren Brady? Do me a favour love. Karren you stupid cow, didn’t your poncey bosses tell you that offices and drivers don’t win football matches. Nor do third rate players!